"Alice Munro, celebrated writer of fiction of the shorter variety describes a story as ‘a world seen in a quick glancing light’. In other words, every day events, gongs and tragedies are briefly illuminated in the best of short stories. Already making his name as an astute writer of short stories. His story, Singwizi: The golden journey is already quite celebrated – hence its inclusion in this work. Matorera is working on his first full-length novel now. Tseliso Masolane is the author of a rip-roaring Sesotho poetry book, Bo naka bo maripa; which the controversial critic Pule Lechesa described “as a must read, a page-turner, coherent, didactic and thought-provoking to boot.” This dynamic polyglot works as the Deputy Director at Bloemfontein based Sesotho Literary Museum which is the first in indigenous languages. 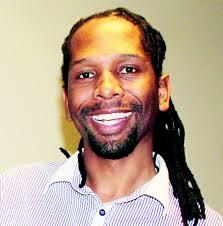 He is also the founder of Motheo Award winning newspaper called Shwehwe and Qwaqwa community radio station. Rampai is a skilled writer of fiction whose monumental work From Where I stand is still being celebrated liberally in many literary circles. Rampai came out tops as Author of the Year (2012) courtesy of the esteemed Mbali Literary Awards. A superb creative writer and journalist, author of a number of award winning works in the Sesotho language; his talent belongs to the top drawer.